Dr Suzuki called his teaching method the Mother-Tongue Approach, inspired by the fact that children so effectively learn to speak their native tongue. Prompted and encouraged by the mother’s love and the family environment, the child responds and develops this most difficult of skills, that of intelligible speech. Suzuki closely follows the parallel with language learning and recommends that musical training should also start from birth and that music should become an important part of the baby’s environment. When the infant’s environment includes fine music as well as the sounds of the mother-tongue, it is understandable that the child will develop the ability to speak and to play an instrument (with technical guidance) before being required to read in either language. Formal lessons frequently begin as early as 3 years of age. Daily practice of the pieces is encouraged to build the child’s confidence and abilities. As the child prefects a piece the motivation and sense of achievement will move them on to the next piece in a desire to learn more. Reading music is postponed until the child’s aural and instrumental skills are well established, just as we only teach children to read after they can speak fluently. In this way, the teacher can concentrate of the student’s development of good posture, beautiful tone, accurate intonation and musical phrasing. The Suzuki Method requires a three-way partnership between the student, the teacher, and the parent – all working together combining a philosophy, a technique, and a program of education. Parents play an important role in the child’s musical learning, just as they do in their language and social development. Parents work together with the teacher to create an enjoyable learning environment. Parents need to attend the lessons with their child, observe and take notes, to serve as “home teachers” during the week. Parents need to supervise practice sessions, play the recordings daily, and give encouragement, support, affection and understanding. This will motivate your child and give them a sense of achievement and makes playing an enjoyable experience. The most important ingredient for success is the parents’ willingness to devote regular time to work closely with the child and the teacher. Parents need not be musicians, however sometimes they may learn to play before the child, so they can understand what the child is expected to do. How can I find out more about Suzuki Method? 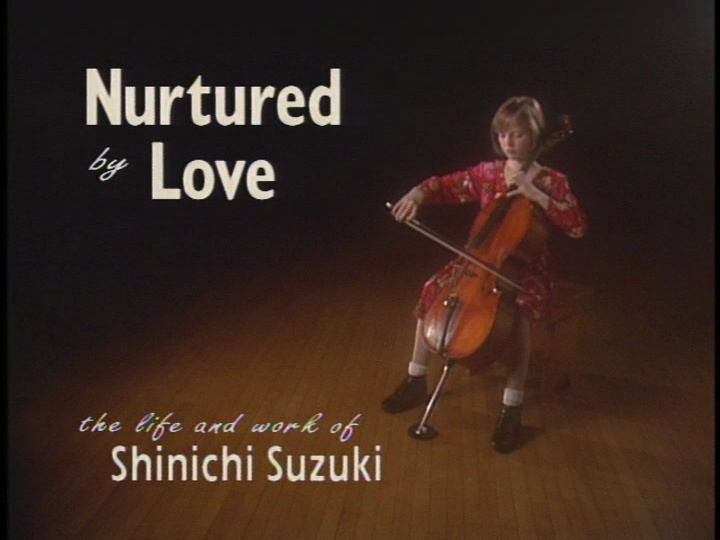 The book Nurtured By Love by Shinichi Suzuki is essential reading for anyone interested in the Suzuki Method. This should be available in the public library, but can also be easily purchased from a music store. Contact your local Suzuki Association.